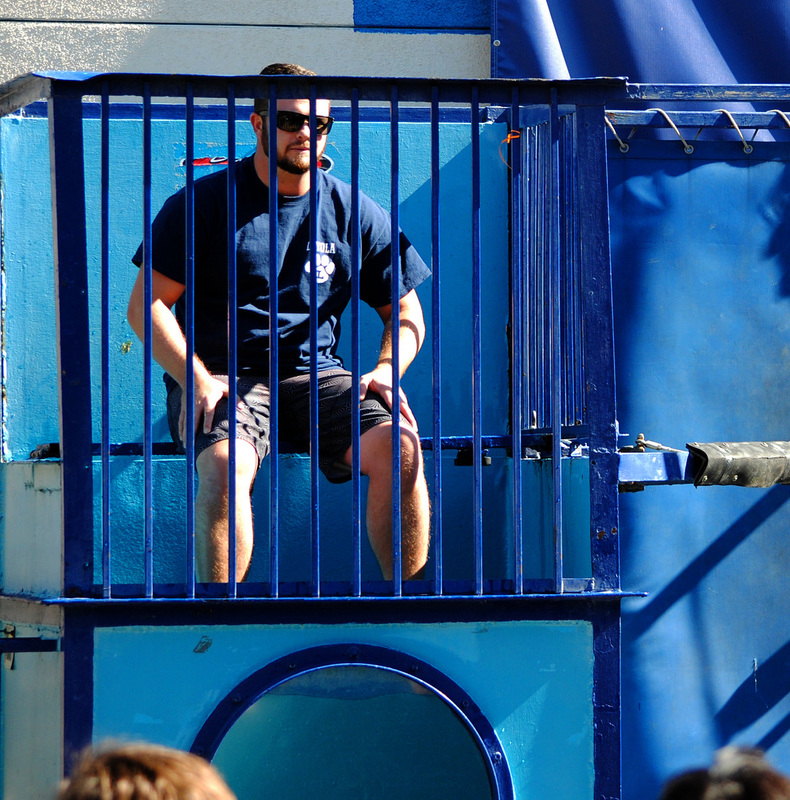 MAGIS FACILITATOR MICHAEL BARNHILL sits above the dunk tank. Students could pay one dollar for three chances to sink staff. 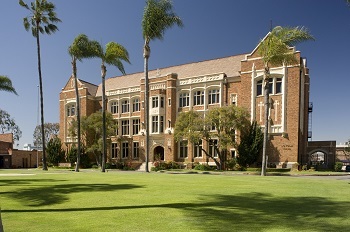 Spirit Week was held at Loyola from Oct. 31-Nov. 4 for students and faculty to participate in. Planned by Student Council, the week featured a variety of activities, themed costume days, and food vendors. On the first day of spirit week, Halloween, students were encouraged to dress up in costumes and participate in the costume contest held at the loading dock. Junior Alex Johnson won the contest by dressing up as a burger riding a unicorn with a Spider-Man outfit on. On Tuesday, students were able to purchase hot dogs, chips, Diddy Riese cookies and a drink for six dollars at lunch after the All Saints Day Mass. The next day’s theme was “USA Day.” Students and faculty were invited to wear red, white, and blue. At lunch in Malloy Commons, faculty such as Dean of Men Daniel Annarelli, history teacher James Zucker, athletic trainer Tim Moscicki and history teacher Levi Line volunteered to try their odds sitting above the dunk tank. 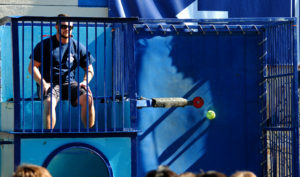 Students could pay $1 for three throws at the target that would plunge faculty members into the water. Kermit’s Ice Cream was also on sale at lunch at the loading dock where the Modern Poets and Composers Club played music. On Thursday, faculty and students were allowed to wear a Hawaiian shirt. During lunch, a Carl’s Jr. truck sold burgers in Hayden Circle while a student debate took place in Xavier Center where debaters debated conservative and liberal viewpoints. In Leavey Gym also at lunch, Student Council competed against faculty in a basketball game where Student Council beat the faculty by one point. On the final day of Spirit Week, faculty and students had the opportunity to wear their favorite pride shirt to show off their school spirit. After the school day, the varsity football team hosted Notre Dame High School in their last home game of the season. Loyola Palooza 2 followed the game. Throughout the entire Spirit Week, faculty and staff could choose to wear a Loyola shirt and jeans if they did not want to dress up. Krispy Kreme donuts were also sold every morning before school.